At some point, you may start thinking seriously about getting a pet for your first family. However, it’s hard to know where to start. What kinds of pets are best for children? Here are some ideas from your Little Rock vet, Bowman Road Animal Clinic. This can give you a starting point! Small animals that you keep in a cage can be great first pets for your family. Many kids have great memories of growing up with hamsters, gerbils, guinea pigs, and other similar animals. These are easy to care for and transport to a Little Rock vet if needed. Guinea pigs are a great first pet because they are easy to tame, handle, and rarely bite. They are also fairly active, which can be great for kids who are eager to play with their new friend. Guinea pigs are happiest in pairs – two females is the easiest. Hamsters are easy to tame and are happy to live alone. They can live in a fairly small cage, but they are nocturnal and don’t live that long compared to some other pets. Gerbils, which are similar, are more active and entertaining, so they may be a better choice. Gerbils do prefer to be kept in pairs. For more mature children, birds may be a nice option. However, birds can be very messy and are sometimes noisy, so be sure to keep that in mind. You may need a specialized Little Rock vet to care for your bird. Some of the best birds for children include parakeets, cockatiels, or even canaries. Birds need regular cage cleaning, food, and water, which can help introduce children to the good and bad of caring for pets. Other than that, a roomy cage and some toys will keep a bird pretty happy. It will be tempting to take the bird out of the cage to socialize and play with it. There’s nothing wrong with that, as long as it is kept safe from other pets. Also, keep in mind that a bird that flies around the house can leave feathers and droppings in its wake. That can mean additional cleaning! Cats and dogs are some of the most common pets in America for a reason. They are easy to care for, fun to socialize with, and often very intelligent. It’s easy to find a Little Rock vet to care for a dog or cat. Kittens and puppies, while incredibly cute, require a lot of training, time, and attention. As a result, it’s best to choose an adult animal. A cat or dog is best as a pet for a more mature child, unless you as a parent plan to spend a lot of energy training and giving care. 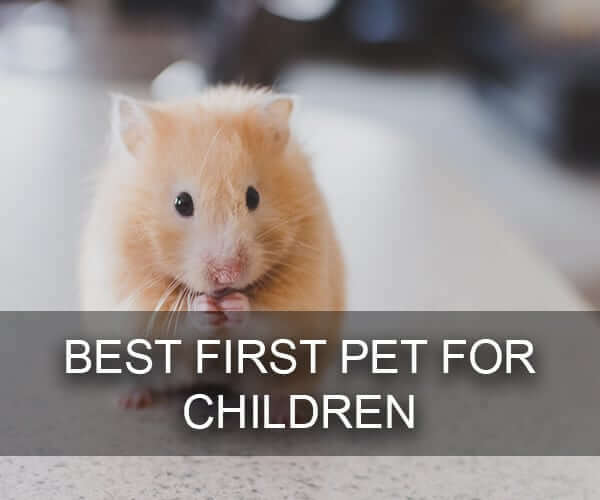 No matter what animal you choose as your family’s first pet, you’ll need to make sure you choose a great Little Rock vet. Bowman Road Animal Clinic has been serving Little Rock families for many years, and we’d love to serve your new pet as well. We have a variety of services in-house, from preventative medicine to surgery, boarding, and grooming. If you need a high-quality vet in West Little Rock, contact us today!